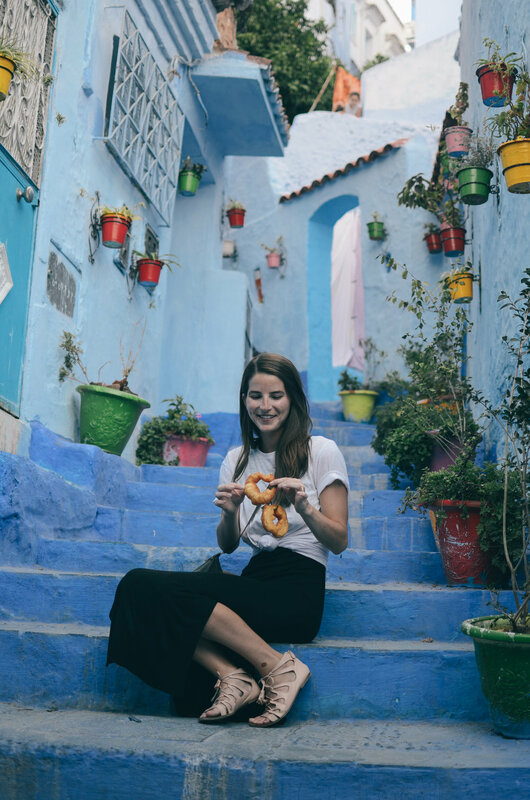 tangier  >> chefchaouen  >> fes  >> sahara desert  >> marrakesh  >> essaouria . 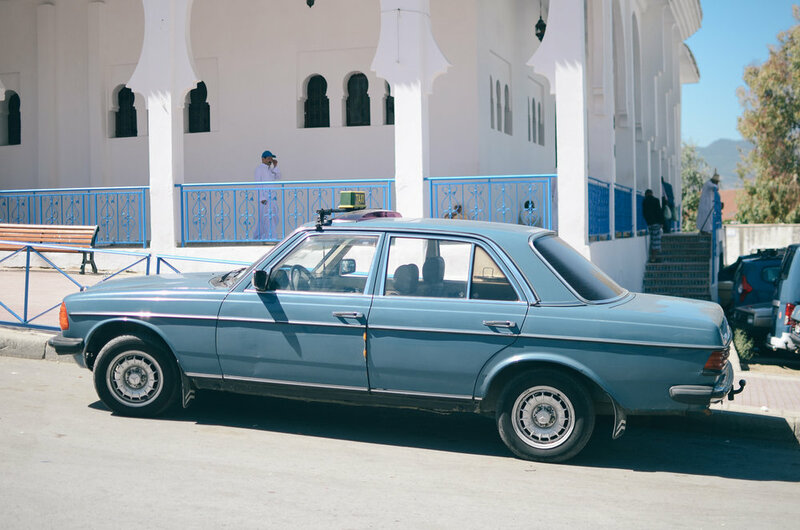 from tangier we caught a bus to chefchaouen – the only "nice" bus line in morroco is CTM [air conditioning, good seats, etc.] of course it was sold out so we were stuck with the crowded hot sweaty bus for 3 hours. we watched forgetting sarah marshall to distract us from the brutal ride. it was all worth it when we arrived! 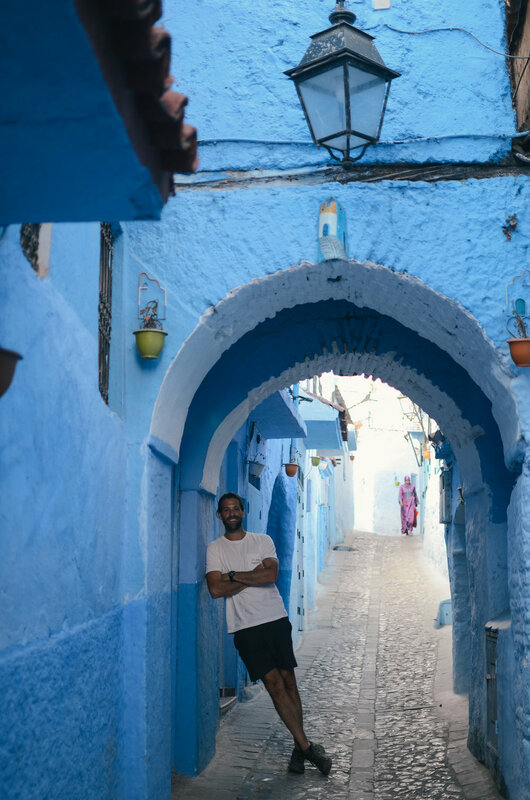 chefchaouen was high on my list because of the obvious reason – seeing a mountain village that is completely painted blue. i had no idea that it would be such a calming and relaxing little town tucked between the rif mountains. 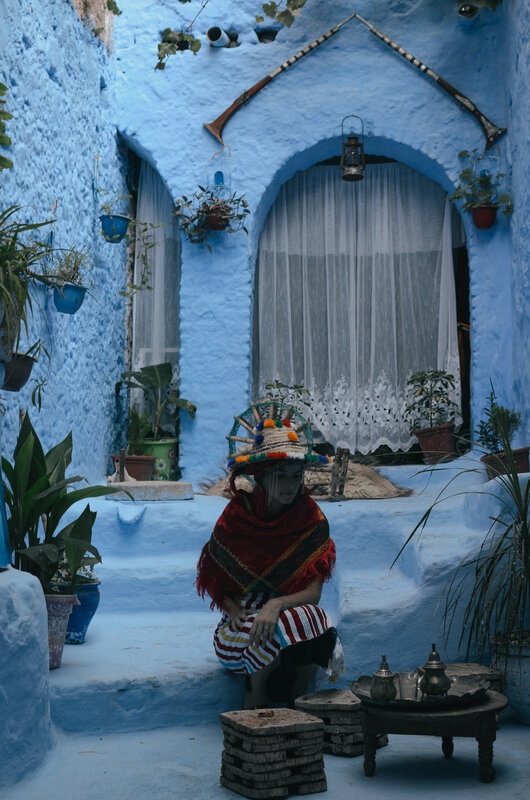 the blue color dates back to the 15th century, when jewish refugees fleeing the spanish inquisition settled here in large numbers. the tradition of painting things blue was to resemble the sky and remind them of god. then they just stuck with it to this day. we stayed at riad rifandalus which is right in the middle of the medina and was the perfect spot for two nights here. 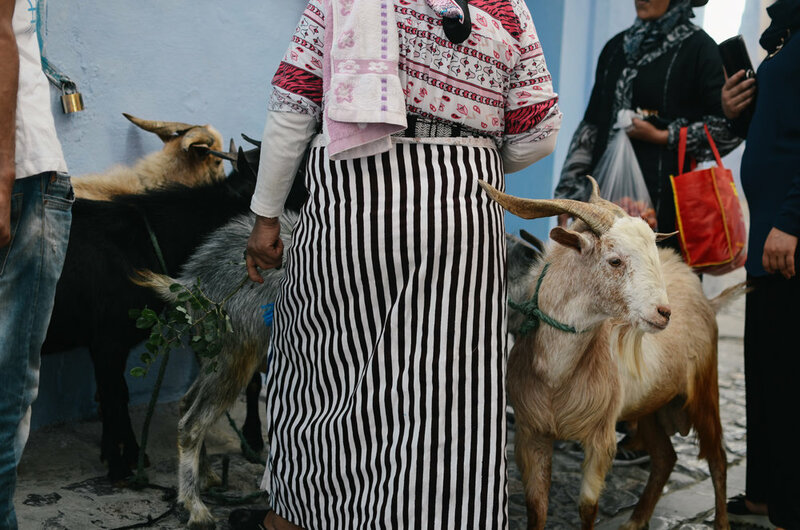 the overall vibe is much less intense than fes or marrakech – full of gentle artisans and craftsmen selling a variety of gorgeous hand-woven blankets, rugs, brass teapots and other trinkets, baked goods, colorful pottery, soaps, hair oils, spices – and so much more. browsing and shopping here was pleasant and not overwhelming (we caved and bought a rug from the cutest father/son duo). the prices are much better and the town square at night has such a cozy local feel. 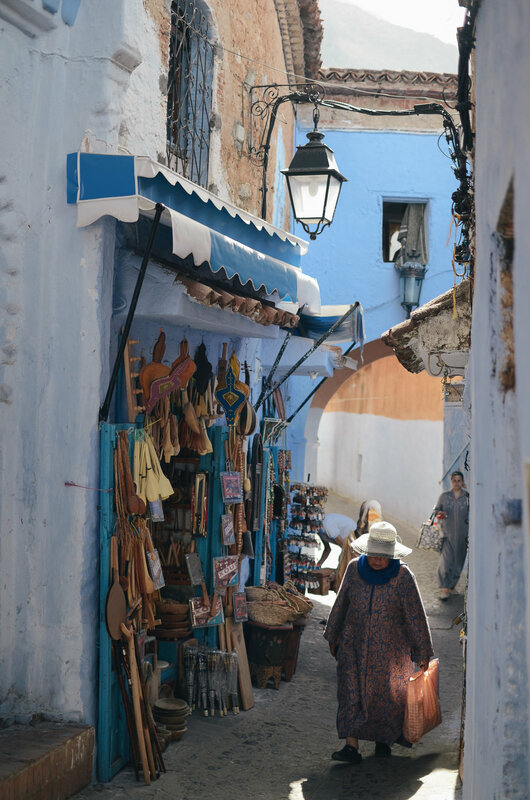 everything really is blue in this place and it's becoming very popular because of it, but the town has a special quaint vibe that pulls you in and steals your heart. 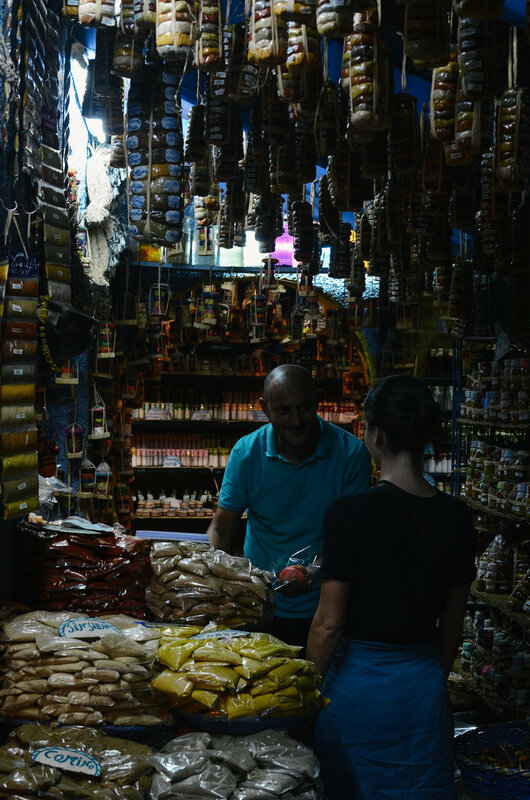 our first day was spent exploring the village and trying some local shops/restaurants, followed by a day of hiking to the spanish mosque and the town of akchour, which i will share more details about in our next post.